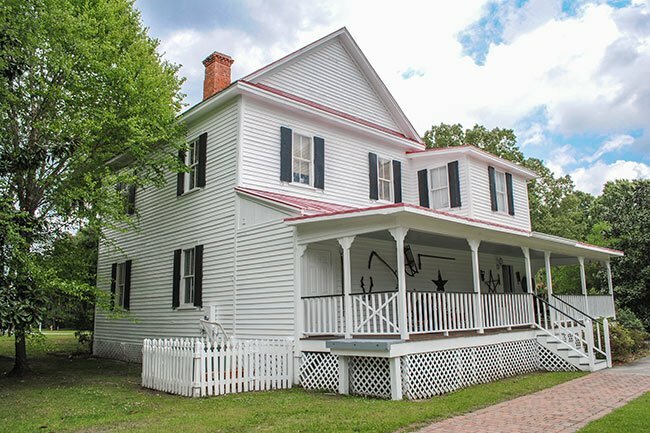 Also called The Hill Plantation for its location on the area’s highest point of elevation, the property surrounding this nineteenth century plantation house on the Jasper County side of Yemassee was granted to the Frampton family in the early eighteenth century. Carolina Gold rice and Sea Island cotton were cultivated here, two commodities that were grown only in the South Carolina Lowcountry and coastal Georgia. Because the cultivating of these crops was limited to this small region, planters of Carolina Gold rice and Sea Island cotton became quite wealthy. The first house on this property was built around 1840. During the mid-nineteenth century, John Frampton served in the 1860 South Carolina Convention and was a signer of the Ordinance of Secession. The family was forced to evacuate the plantation during the Civil War, and Confederate troops built an earthworks battery to guard the railroad that ran behind the property. (Mounds from the earthworks remain visible today.) The house was burned when General Sherman’s troops stormed the area in 1865. Frampton built the present house in its place in 1868. The house underwent a renovation around 1930, which included modern additions such as indoor plumbing and electricity. The property remained in the Frampton family until 1947. 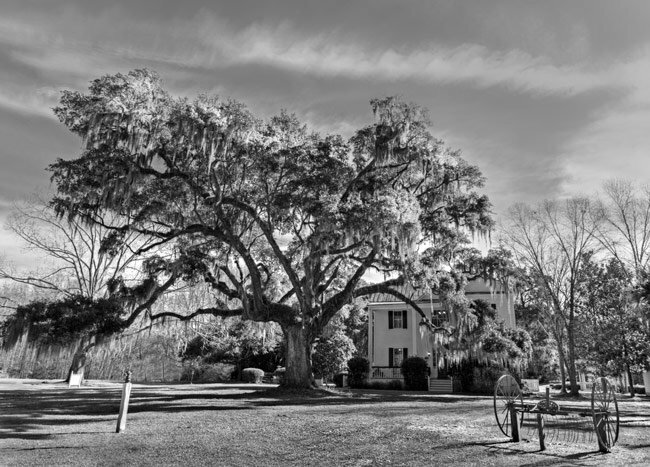 In 1993 owner Wyman Boozer deeded the property, which had fallen into disrepair, to the Lowcountry Tourism Commission. The home was once again rehabilitated and now serves as the Lowcountry Visitor Center and Museum.